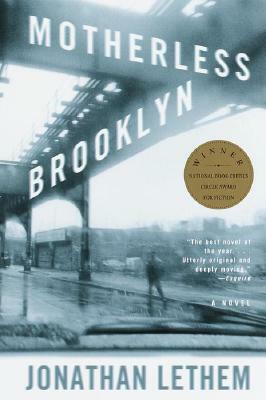 Though not a regular reader of crime fiction, Motherless Brooklyn fits into this category but could also be considered as simply contemporary fiction. As the first of my Jonathan Lethem 3-book reading challenge, it is obvious I’m in for some exciting and fresh new literary characters. Lethem certainly did his research here; the main character suffers from Tourette’s and I’m now much more aware of the difficulties and the complexities of said syndrome. Lionel Essrog has his flaws and is by no means the world’s most likable character, but we can’t help but root for him, which is a sign of a great writer. A good little mystery here too. This entry was posted in Book Reviews and tagged Book Reviews, Fiction, Jonathan Lethem. Bookmark the permalink.